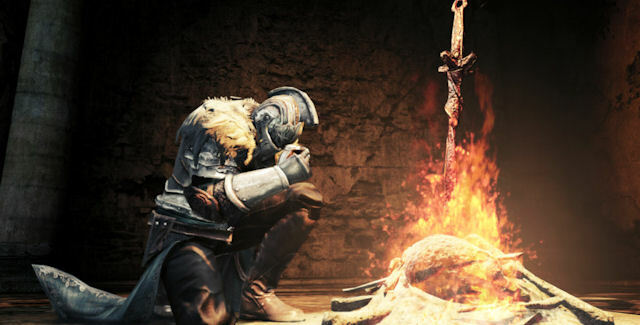 • The Dark Souls Trilogy, including Dark Souls Remastered, Dark Souls II: Scholar of The First Sin, Dark Souls III: The Fire Fades, plus all DLC content for all three games. • A high-quality, numbered, and hand-painted 34cm Elite Knight at the Bonfire statue. • The Dark Souls Trilogy soundtrack – featuring 6 soundtrack CDs with music from all three games. 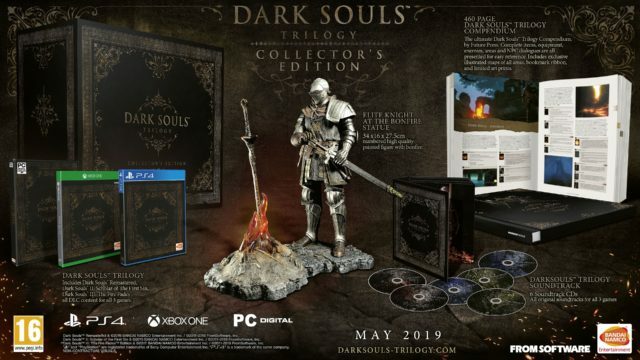 • And a 460-page Dark Souls Trilogy compendium* – containing illustrated maps with boss and NPC locations, item encyclopedia, bestiary of enemies and bosses, and a manuscript of all dialogue from each game reiterate. The Dark Souls Trilogy Standard Edition – featuring all three games, DLC and digital soundtracks – will also be available to purchase from 1st March 2019 at participating retailers.